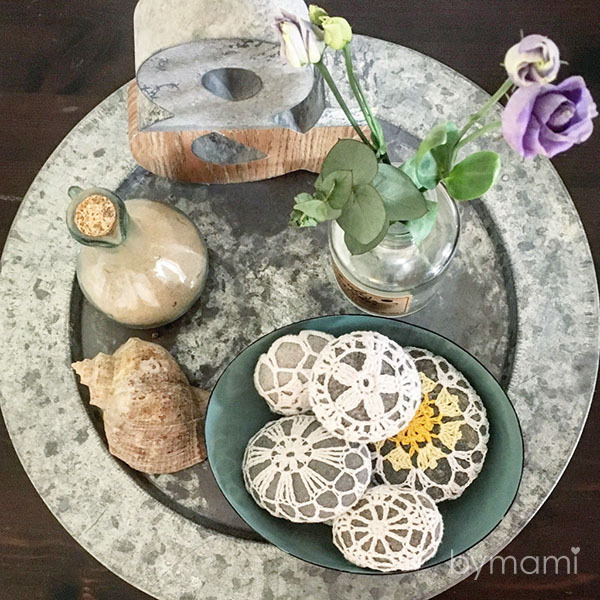 My dear Mother in Law brought me some stones that my youngest daughter had painted for her and asked me if I could ‘cozy’ them as she had seen in some of my posts. Of course I would and I spent the evening ‘Me-time’ this weekend making her these two pretty stone covers. They look a little like easter eggs and my Mother in Law was very happy when I gave them back to her! 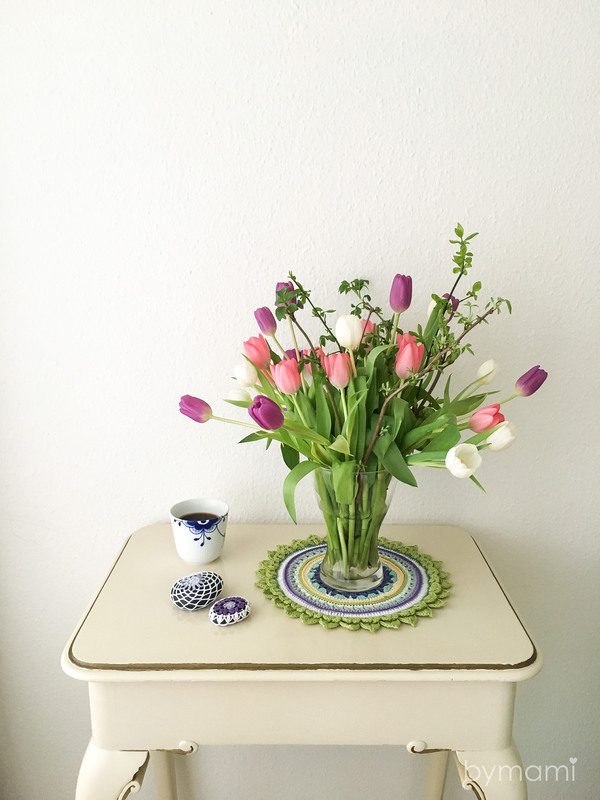 They are perfect for table decor around Easter, when gathering family and friends for a delicious meal – or to brighten up a windowsill, a little extra in a flower decoration or a collection of stones in a pretty bowl. Wherever you can think of! 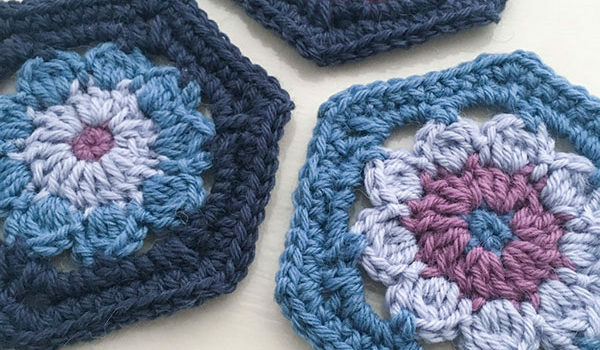 And you can make them too with this freebie crochet pattern. 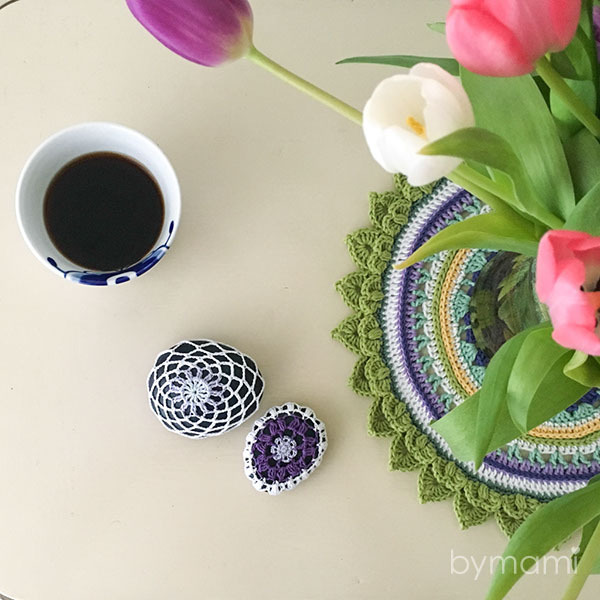 Stones are obviously very different and Bymami cannot guarantee a perfect fit from this pattern. You have to pay attention to the fitting throughout the process, to be able to add/skip a chain in appropriate places to fit the cover to your stone. Stone cozies are prettiest when fitted tightly and slightly stretched around the stone. 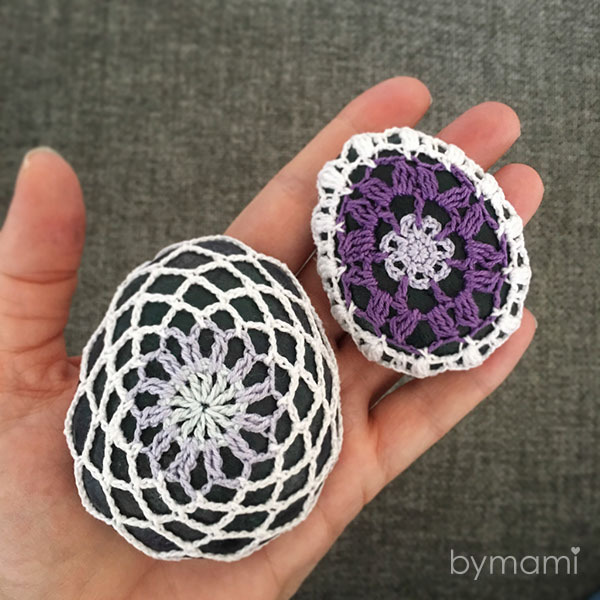 The stone covers are crocheted in rounds. 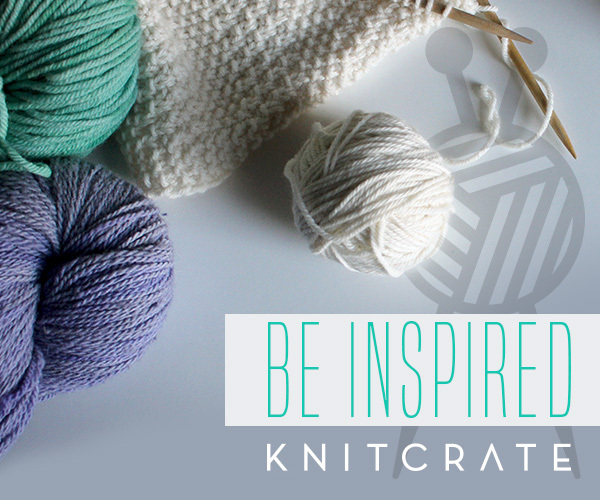 Each round begins with a number of chain stitches that replace and count as the first stitch. 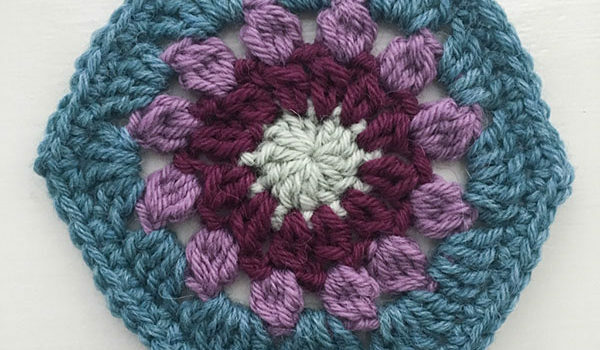 All rounds are closed with a slip stitch, unless pattern states otherwise. 1 sc, ch 3* 7x. Close with a sl st and fasten ends securely. Change to color Delphinium and attach yarn to a sc between chains. Chain 7 (counts as 1 dc + ch 4). *1 dc in next sc, ch 4* 6x. Close with a sl st to the 3rd beginning ch. Sl st to chain, ch 2 (counts as first of dc3tog), dc2tog, ch 4. *Dc3tog in the same chain, dc3tog in next chain, ch 4*, 6x. Attach yarn in 2nd of two dc3togs next to each other: 1 sc , ch 3* 7x (all sc go to the 2nd of dc3togs next to each other), close with a sl st.
Chain 2 (counts as first of dc3tog), dc2tog, ch 3, 1 sc in chain. ch 3, dc3tog in sc, ch 3, 1 sc* 13x. Ch 3, close with a sl st.
1 sc (in top of the dc3tog), ch 4* repeat around and close with a sl st.
Slip stitch into chain, chain 2 (counts as a dc), 3 dc in chain. *4 dc in next chain* 13x. Fasten the end you’re not working, and pull the cover around the stone. 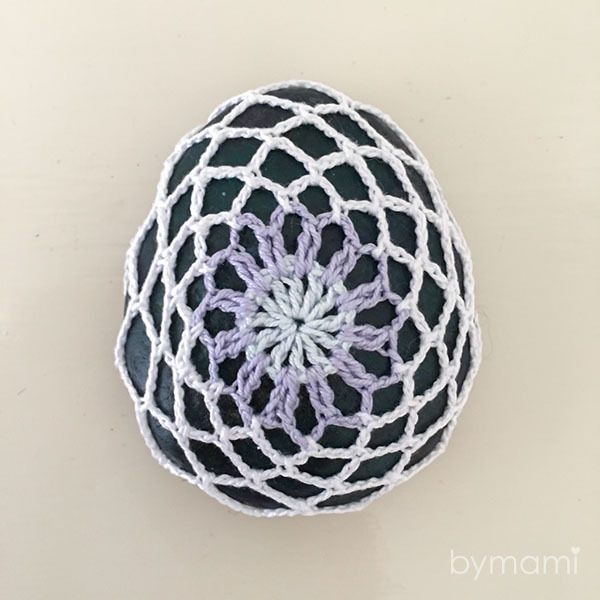 Crochet the remaining rounds directly around/onto the stone! Ch 2 (counts as a dc), SK2, *2 dc, SK2* 13x, 1 dc. 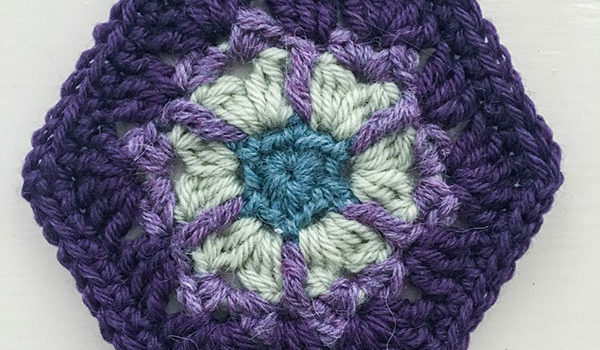 Close round with a slip stitch..
1 sc between 2 dc located next to each other. * 14x (14), fasten end securely.. Using Bluebell, put *1 dc, ch 1* 12x total in a magic ring (12) Fasten both ends. 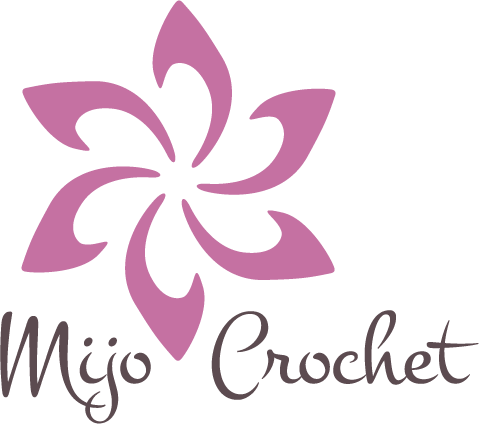 Using Lilac Mist, attach yarn to any chain, ch 2 (counts as 1st of dc2 tog),1 dc. *ch 4, dc2tog in next ch* 11x, ch 4. Close with a sl st and fasten both ends. 1 sc in chain, *ch 4, 1 sc in next chain* 11x, ch 1, 1 dc in 1st sc. 1 sc in chain, *ch 5, 1 sc in next chain* 11x, ch 2, 1 dc in 1st sc. 1 sc in chain, *ch 8, 1 sc in next chain* 3x, ch 6, 1 sc in next chain* 8x, ch 3, 1dc in 1st sc. Make sure to place these 3 larger arcs in the pointy end of the stone! 1 sc in chain, *ch 8, 1 sc in next chain* 11x, ch 4, 1 tr in 1st sc. 1 sc in chain, *ch 9, 1 sc in next chain* 11x, ch 4, 1 tr in 1st sc. 1 sc in chain, *ch 6, 1 sc in next chain* 11x, ch 3, 1 dc in 1st sc. 1 sc in every other st (12), fasten end securely. 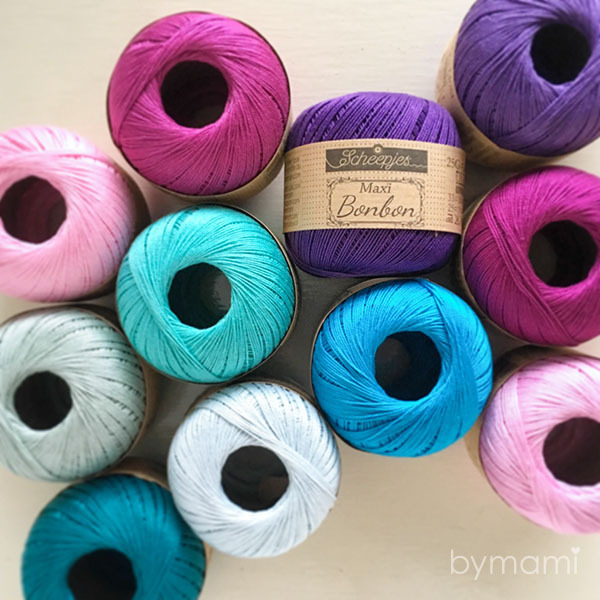 Make a whole basket full of Easter eggs or a few, they look great on their own too around the house or you can leave them as little loving yarnbombs in nature to give a smile to a stranger. 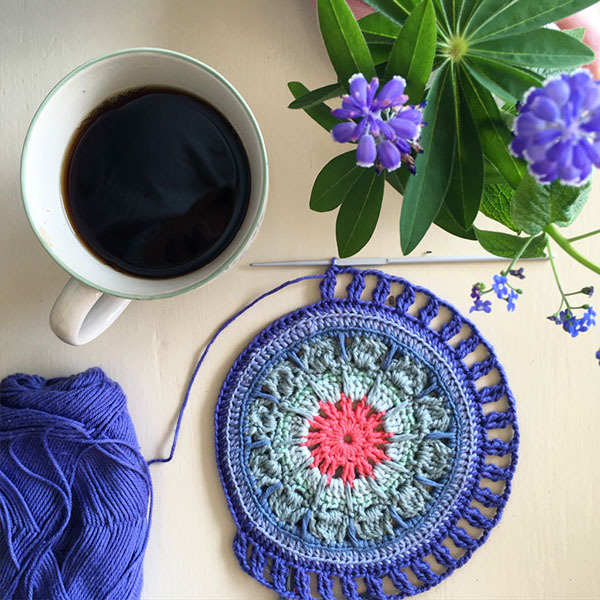 Not familiar with the yarn used in this pattern? 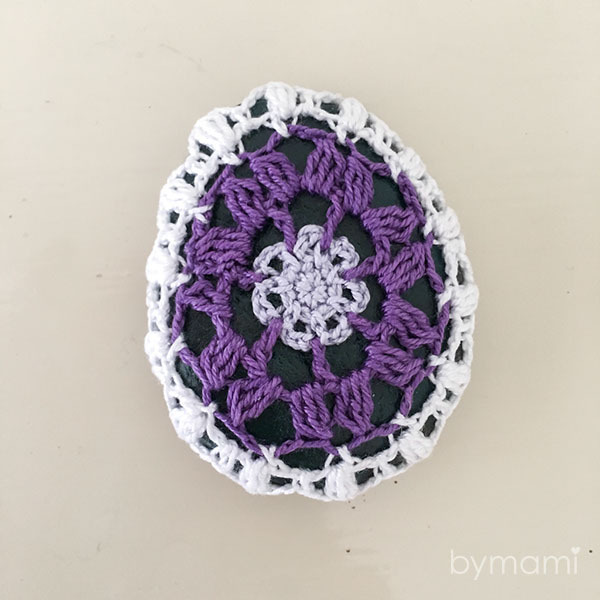 Read more about it here and find the pattern for another crocheted stone cover!